What is Windows Host Process Rundll32 Windows 10? Why Does Windows 10 Rundll32.exe High Disk Usage Come to Your PC? Like many other files on Windows 10, such as Msmpeng.exe file, the rundll32.exe file would not take up much disk on your PC. In this way, upon the time when you discovered that the Windows host process rundll32 high CPU appeared, it is likely that the rundll32 Windows process happened to some errors on Windows 10. 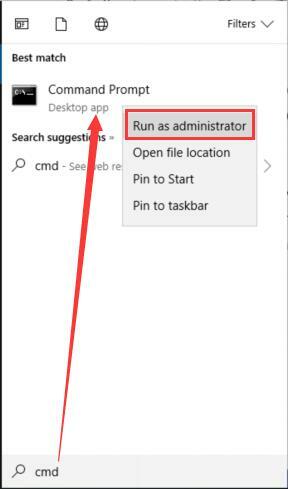 But the question is many of you even have no idea what the Windows host process rundll32 does and why rundll32.exe keeps popping up in Task Manager. To meet your ends, this article will show you what the rundll32.exe is used for and how you can fix Windows host process rundll32 high disk usage Windows 10 or high CPU. Of course, it is also available for you to learn why this rundll32 comes up at startup. To put it in simpler words, the rundll32.exe is the embedded tool along with Windows systems. It is mainly designed to activate certain functionalities in .exe files Windows 10, 8, and 7. To be more specific, if you feel like to get the hang of the usage of this Windows host process rundll32, there is much need to get started from the DLL file. As it is said that in itself rundll32 possesses no function, it is in DLL file, it becomes useful on Windows 10. DLL refers to Dynamic Link Library, which stores functionalities can be used by applications. With the DLL, there is no need for the software to build the common usages within themselves. When being used, these applications will navigate to.DLL files and take advantage of these functionalities automatically. In this sense, when it comes to rundll32.exe, in fact, rundll32 has no use itself, only when it is combined with DLL can it work for your system. What’s more, different usages require the rundll32 to open the different DLL part. For instance, if you are to exit the system promptly, you can let rundll32.exe elevate the user.exe model. 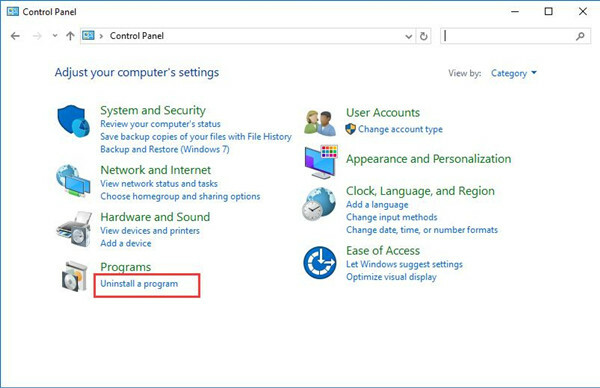 Therefore, you are able to turn off your PC quickly. Normally, this Windows host process rundll32.exe won’t eat much disk or CPU usage on Windows 10 since it will be turned off automatically after being used. On the other hand, unlike .exe files, which are executable, this rundll32 would not bring you threats or virus when performing the task. So when you happen to any errors in Windows host process rundll32, be rundll32 high disk usage or rundll32.exe keeps coming up on Windows 10, you would better try some ways to remove the rundll32 disk error. As rundll32 is a system file on Windows 10, you can make use of SFC (System File Checker) to detect the file issue on your PC. Perhaps this tool can show you whether Windows host process rundll32 is corrupted. Thus you can fix this rundll32.exe high disk usage problem more successfully. 2. In Command Prompt, enter sfc/scannow and then press Enter to perform SFC on Windows 10. The minute you hit the Enter key, you can obviously observe that SFC is scanning system files, including rundll32.exe. In light of the research and reports from many users, stopping the Telemetry service for Windows 10 can to some extent fix Windows host process rundll32.exe high disk usage on Windows 10. 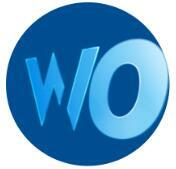 In reality, there exists scientific evidence why you can attempt to disable this Telemetry service from your PC. It is due to its usage. The Telemetry service collects your system data and makes a comparison with the data on your computer. From this perspective, it may cause risk to your system, such as rundll32.exe high CPU. 1. Press Windows + R to open the Run box and then input services.msc in the box. Then click OK.
2. 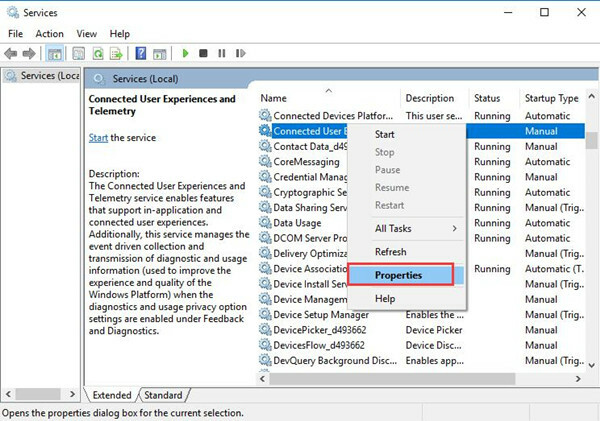 In Services window, find out Connected User Experience and Telemetry Service and right click it to move into its Properties. 3. 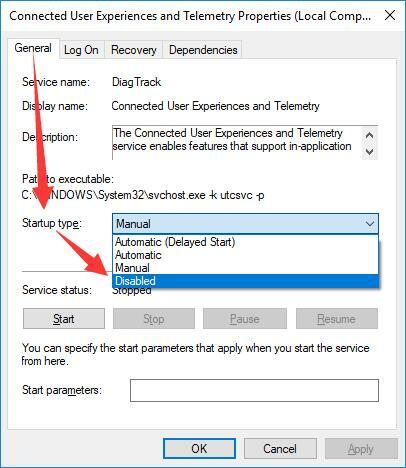 In Properties window, locate Startup type and then set it as Disabled. After that, stroke Apply and OK to save changes. Now that the telemetry service is ended and you can see the Windows host process rundll32 will not cause you high disk usage on Windows 10. Judging from the complaints, the Google Chrome engine can lead to rundlll32.exe keeps appearing on Windows 10. As the Chrome controls much of the web data, you are supposed to remove it from Windows 10 for the purpose of resolving the Windows host process rundll error. 2. In Control Panel, set to View by Category and then click Uninstall a program under Programs. 3. Then in Programs and Features window, scroll down to locate the Google Chrome and right click it to Uninstall it. Without Google Chrome, maybe the Windows rundll32.exe error disappeared from Windows 10. 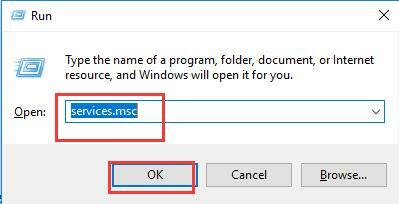 Or here you are also able to uninstall third-party applications in control panel in hope of avoiding them taking virus or threats to the rundll32.exe. The moment you are unable to fix Windows host process rundll32 disk usage error with the help of the above methods, you would better try to go into the safe mode. In safe mode, there is a minimal set of programs running on Windows 10, which enables you to figure out the reasons for the rundll32.exe Windows host process high disk or CPU in Task Manager. 1. 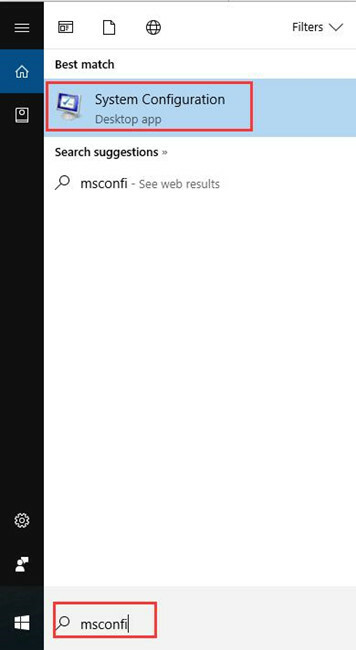 Search msconfig in the search box and then press Enter to move into System configuration. 2. Under the Boot tab, under Boot options, check the box of Safe mode and then stroke Apply and OK.
3. Then in the following window, choose to Restart. 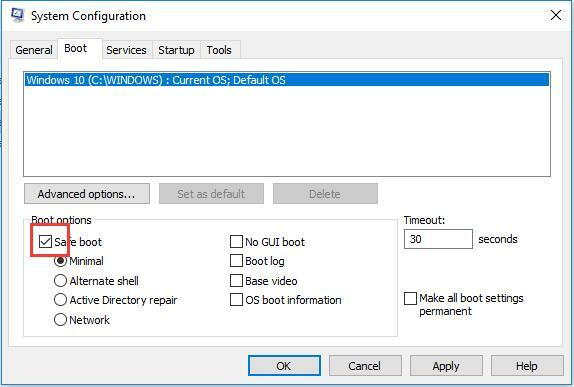 Then Windows 10 will be rebooted and when the system logins in again, you can notice that your PC is in safe mode. Now you will have solved Windows host process rundll32 using 100% disk usage on Windows 10. May the ways above can help you remove the rundll32.exe high disk usage error in task manager on Windows 10.